Vatnajökull is the largest glacier in Iceland and one of the largest in Europe. Within its massive area of 8.1k square km (3k square mi) lie many caves resulting from melting patterns within the icecap. Contributor Snorrithor flew his DJI Phantom 3 drone into one of these caves, creating a one of a kind "aerial" of this gigantic cavern. The glacier is the land "Beyond the Wall" in Westeros in HBO's Game of Thrones; the video was a Winner for the Game of Drones category in the AirVuz Drone Video Awards. 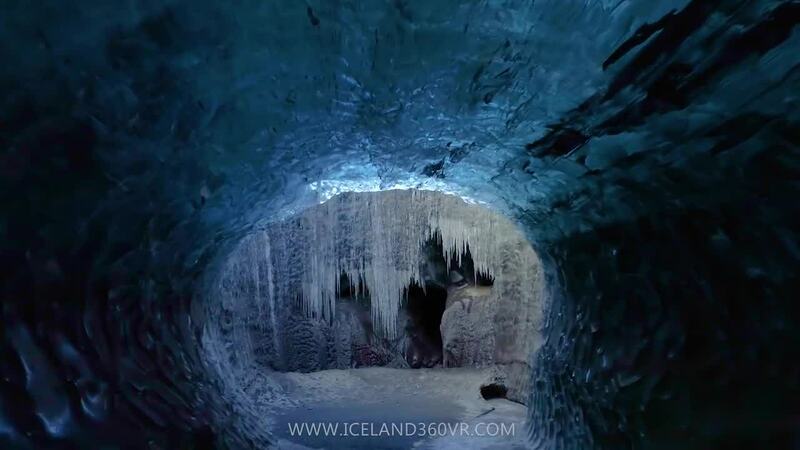 Description: My latest video, shot inside ice caves in Vatnajökull National Park on the south coast of Iceland. My drone is still recovering from this super risky flight, i think it may be suffering from PTSD.